Thanks to the Pacific Beach and Clairemont Planning Groups, the comment period on the Balboa Avenue Station Area Specific Plan has been extended to Tuesday, June 12. 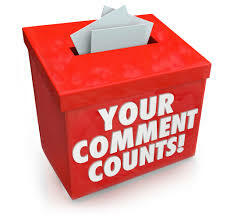 If you didn’t comment already, please do so now. Please send your written comments to the following address: Rebecca Malone, Environmental Planner, City of San Diego Planning Department, 9485 Aero Drive, MS 413, San Diego, CA 92123 or e-mail your comments to PlanningCEQA@sandiego.gov with the Project Name and Number in the subject line. Please note that only written comments, received either via US Mail, hand-delivered, or via email, will be considered official comments in the Final PEIR. The Friends of Rose Creek oppose any zoning density without parkland dedication for Rose Creek. With parkland dedication for Rose Creek, we support the Medium Density Alternative as outlined in the Draft PEIR. In table 5.3-5, Conservation Element- CE-B.1 identifies the pursuit of of formal dedication of existing open space areas (sub item f). What are the hurdles other than a lack of political will to purse parkland designation or dedication for Rose Creek in the project area? Would the City of San Diego be willing to address parkland dedication if a maintenance assessment district or other permanent funding source was provided to address maintenance, habitat restoration, water quality improvements, and flood control protections? Item 5.3.5.1 Impacts to Tier II and Tier IIIB habitats could be mitigated by requiring easements for all development along Rose Creek to provide a buffer zone between the developed buildings and the Tier II and Tier IIIB habitats. The buffer zone could be landscaped with appropriate native plants or suitable non-natives that are not invasive, that are drought tolerant excluding plans on the The Cal-IPC Inventory. Recommendations identified in item 5.13.3 for the Draft PEIR require new parkland as the Pacific Beach Community is already extremely deficient in population-based parks yet the plan specifically does not propose additional parkland. We strongly disagree with this assessment and oppose any zoning density increase without additional parkland. Residents of high density housing need public parks for kids to play and dogs to frolic within walking distance. How will the necessary parks be provided in the planning area if Rose Creek is not dedicated as a community open space park? We strongly recommend a pocket park at the old work center at the corner of Mission Bay Drive and Daemon Street with restroom facilities for people walking/jogging/biking the Rose Creek Bike Path and Bikeway and interpretative signs on the history of Rose Creek and the Kumeyaay ethno-history in this area. Recreation Element RE-A-6 requires the City to “pursue opportunities to develop population-based parks.” The primary potential for population based parks exists along Rose Creek. In addition to Parkland Dedication, further actions should be taken to acquire easements from adjacent property owners to create a children’s play area between the Rose Creek Bike Path and private property as well as benches for bird watching. In addition to easements and setbacks from open space, please restrict building heights to no more than 30 feet for properties boarding Rose Creek to allow sunlight to reach biologic habitats and prevent shadowing on the resources. Item 5.3.4.3 Mitigation Framework, sub-item BIO-1 – If mitigation is required, mitigation should be done as close to the impacted site as is technically feasible and in no case should mitigation be done outside the Rose Creek Watershed. There are multiple opportunities for Diegan Coastal Sage Scrub mitigation along Rose Creek between Grand Avenue and Mission Bay Drive. How can the plan prioritize mitigation being implemented in the Pacific Beach portion of Rose Creek? Under the City of San Diego’s General Plan Conservation Element, strategies must be implemented to address the Heat Island Urban Effect, protect open space, and adapt to climate change Elements: CE-A.2, CD-A.3, and CE-A.12. How will the protection of Rose Creek’s biologic resources serve to further this conservation element? In Section 5.3, page 5.3-31, under Litter/Trash and Materials storage, Priority 1, Item 1, indicates the City will provide and maintain trash cans and bins at trail access points as well as removing litter and trash on a regular basis. What is the timeline for implementation of and the funding source for these trash cans? Please provide a more through explanation of what “remove litter and trash on a regular basis” means. Is that weekly, monthly, quarterly, annually or less frequently? How will the need to remove trash be identified by the responsible City departments? Will trash cans be provided throughout the BASASP planning area or only at access points to Rose Creek? Will dog poop bags be provided at trail access points to encourage dog walkers to pick up their dog poop instead of letting it fall into Rose Creek and eventually Mission Bay Park? In regards to the Mobility Element Policies Related to Multi-Modal Transportation Improvements, Table 5.1-7, ME-F.3 Identifies the goal to “Maintain and improve the quality, operation, and integrity of the bikeway network and roadways regularly used by bicyclists.” There are two proposed projects that will facilitate movement through this area by pedestrians and bicyclists that could serve as mitigation for negative impacts to vehicular traffic circulation by encouraging more people to ride bikes and/or walk. One is the bridge over or tunnel under I-5 identified in this project. The other is the San Diego County Bicycle Coalition’s proposed bridge at I-5/Hwy 52 to allow movement between the communities of University City, Clairemont and Pacific Beach without using motorized transport. Planning efforts on this project have been funded by the California Coastal Conservancy. For details on the I-5/Hwy-52 bridge, click here and search for “Rose Creek Bicycle/Pedestrian Bridge.” How can mitigation for vehicle traffic impacts caused by the Trolley station at Balboa Avenue and the proposed zoning density increases be redirected to these multi-modal improvements to reduce vehicle trips and increase bike/ped travel in the region? Finally, please include design elements provided by the San Diego County Bicycle Coalition on creating a Bike Friendly Business District into this project. One specific recommendation is critical to creating a bike friendly business district: The City of San Diego should offer a free bike rack or corral to any business that requests one, with liability resting with the city, not the business. This entry was posted in Rose Creek on June 1, 2018 by admin.